Hey slugs! Finals week is here! And I’m sure we all feel the weight of it. Some of us got up to take our first final at 8:00am this morning, while others of us won’t have our first final until tomorro w. No matter when each of our finals fall, we’re all in this together! We all feel the stress of a difficult quarter coming to a head. However, there are lots of simple things we can do to stay on track with our studying, keep our stress levels at bay, and feel as prepared as possible for that fateful moment when we open our blue books. 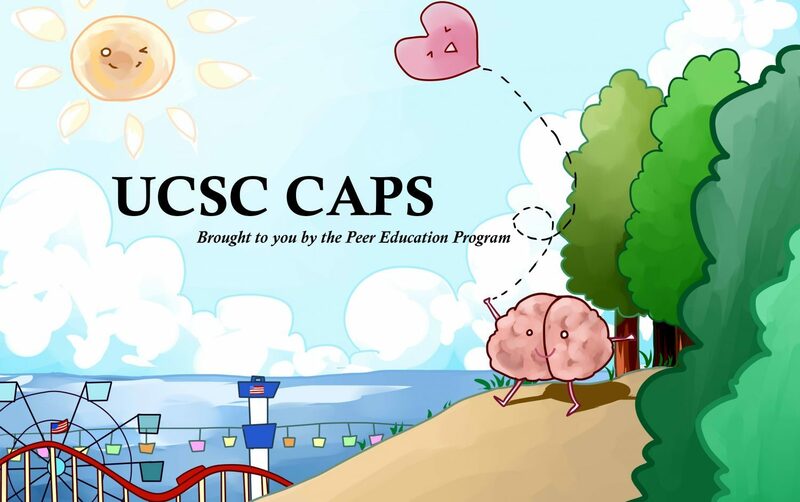 One thing that I like to do when I’m feeling especially stressed and down about school, is to write down three things that UCSC has done for me that I am thankful for. If you’re anything like me, when midterms and finals roll around, you might ask yourself, “Why am I doing this to myself?” “I don’t want to be in school!” But the truth is that, while we may feel like this at times, especially right now, we really do want to be here. We worked hard to get here, and we work hard to stay here. So even when school is stressful and tedious, and nerve wracking, it doesn’t mean that we can’t take a minute to remember the good things about it, and all of the many reasons we do want to be here. For more study tips, check out this great link! CAN PHYSICAL STRESS HELP MENTAL STRESS?